Cracow University of Economics (CUE) is the largest school of economics in Poland, and the third biggest university in Cracow, a major Polish academic center. The was the first institution of higher education in Poland to introduce studies in English in the early 1990s. CUE graduates are among the most successful in Poland in matching their knowledge and skills with the employer's needs. For international students, we offer specially designed programmes in English. The University enjoys a number of international contacts, as the faculty and student visits abroad for scientific purposes as well as foreign internships and training programmes are one of the University's priorities. In the era of the knowledge society and globalization processes, the modern economy should be strongly supported by science to face the challenges of the international market. Our University takes responsibility for the preparation of both Poles and many foreign students to work in the new global market. International cooperation between scientists and individuals involved in the industry is the most critical link, which is based on the knowledge that reaches far beyond Poland's boundaries. 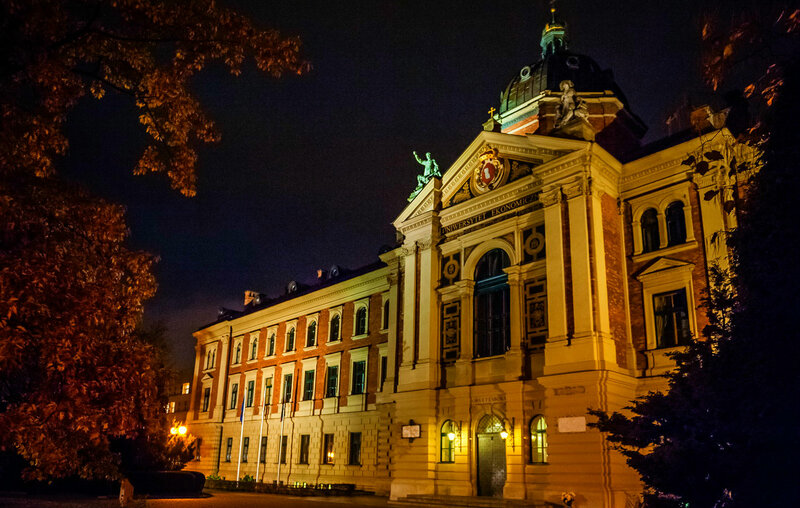 The Cracow University of Economics has four Faculties, all of which have full academic rights. These Faculties - Faculty of Economics and International Relations, Faculty of Management, Faculty of Finance and Faculty of Commodity Science - consists of numerous Chairs and Departments, offers various study opportunities for students and professionals and conduct basic and applied research.